These are loans offered to enable customers meet their temporary cash needs/ personal commitments. With their competitive interest rates, you get the best value every time. For joint application, Marriage Certificate or an Affidavit. Valuation report(s), if available and copy of the document evidencing ownership of the asset offered as security. Financial projections and plans for the business i.e. cash flow month by month for the next 7 years if construction is for rent. Feasibility study report or project proposal showing the present marketing set-up and strategies adopted / introduced to increase the sales. CV’s of the promoters and top management on the lines of format as shown on page 5 of the form. Approved building plans and structural drawings (if available). Priced Bills of Quantities (if available). List and Profiles of the professionals involved in the project i.e. architect, contractor, engineer(s), QS etc. (if available). Names of purchasers or sales already concluded by your Managing Agent together with the down payment thereof. Copy of the Certificate of Registration / Incorporation. Financial projections and plans for the business i.e. cash flow month by month for the next 24 months. Copies of your bank account statements for the last 12 months. Copies of the PIN certificates of the Company and Identification (or Passport) copies of each of the Directors. Repayment period is between 2 Years – 10 Years. (Subject to Credit Appraisal). 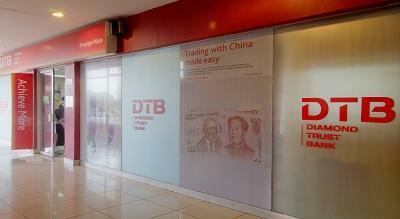 DTB provides their customers with an option of offering cash as security for a loan. Security in form of your Fixed Deposit with them. With over 40 years of experience in hire purchase and numerous awards across the years DTB believes they can help you get the assets you need to drive your business forward. Custom made repayment plan to suit your needs.